Sculpted kauri snail. Body made from swamp kauri, shell made from totara. 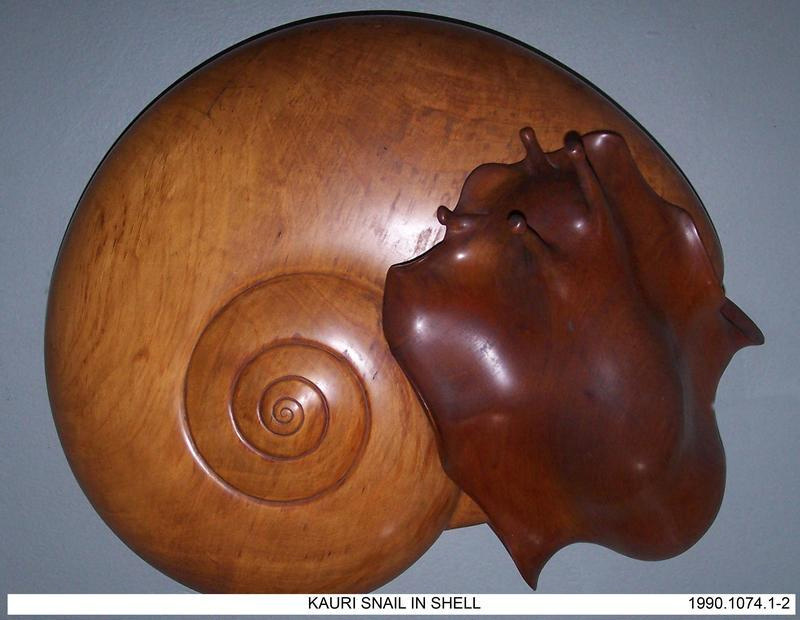 A sculpture of the native NZ kauri snail; Paryphanta busbyi made of swamp kauri and totara.